There's a new Netflix film in town, and we're sure you can't wait to see it. 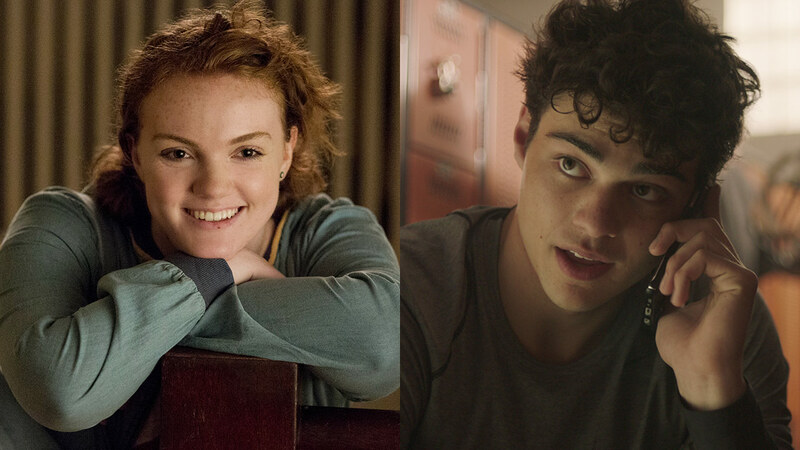 In Sierra Burgess is a Loser, Shannon Purser plays the role of Sierra, a teenager who falls in love with a jock named Jamey (Noah Centineo) after he accidentally sends a text to the wrong number—hers. He thinks she's someone else, so Sierra assumes the identity of Veronica (Kristine Froseth)—the cheerleader Jamey thinks he's talking to. 1. It stars two of our fave Netflix artists. We've got Noah straight from To All The Boys I've Loved Before (Peter K and his Yakult will forever be in our hearts) and Shannon from Stranger Things (justice for Barb, please) and Riverdale. I mean, come on. Who doesn't love rom-coms? After their success with The Kissing Booth and To All The Boys, Netflix seems to be revamping rom-coms we (and our moms) used to binge-watch. 3. Based on the trailer, we've got some very memorable lines coming our way. "You. Are. A Magificent Beast." "They're my words. He's falling for me." "You owe him the truth." Is it just me or are those still relatable even for those of us who aren't teenagers anymore? 4. The film's aesthetic is totally giving us '90s feels. In the film, Sierra wears a lot of denim, patterns, and a "You Belong With Me"-esque band uniform. The locations and set design seem to trigger nostalgia as well. I mean, just look at this poster, it could be a cover from one of our old childhood books! 5. It might just teach us a thing or two about self-acceptance. Even though the title calls Sierra a "loser," she's not actually one. She might have insecurities like everyone else, but she doesn't let herself get bullied and stands up for herself. Sierra Burgess is a Loser is currently available for streaming on Netflix.